Presenting Authors are required to complete the registration process on or before June 15, 2018. The number of ordinary papers presented at the symposium by one speaker may not exceed 2. The deadline for Symposium registration is July 15, 2018. Beyond this date, registration will be subject to availability of free slots. For for the registration, please FIRST submit your payment, and THEN please fill the form below (including an upload of the payment confirmation). Thank you! Important remarks: The payment transfer has to carry the participant’s name and the following workshop’s reference data in the transfer description: IPW 2018 7875012050. Cancellation of registration fees must be received via email to ipw2018@boku.ac.at . Full refund is provided, if the cancellation is made before 15 July 2018. No refund will be provided, if the cancellation is made after 15 July 2018. In Austria, the current year´s wine is served in the legendary wine taverns (Heurigen), and the Weinhof Zimmermann ranks among the most famous in Vienna. Based in the Neustift district amongst a maze of rustic vineyards, visitors can enjoy the unique Wiener Gemütlichkeit (relaxed, companionable coziness) over a glass of local wine. 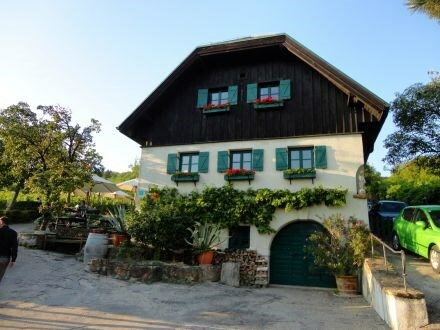 The Heuriger is also a popular dining venue amongst locals, where guests can enjoy a fine selection of sauerkraut, dumplings and salads and various meats such as barbecued chicken, knuckle of smoked meat, lean loin, rost cumin and neck of pork. Papers will be published in Beton- und Stahlbetonbau, an ISI ranked journal of Wiley publishers. There is the possibility for PhD students to publish a two-page extended abstract that should be presented at the poster session.